Ryan was born and raised in San Antonio, Texas. He received his Bachelor of Arts from the University of Texas. While at Texas, Ryan received University Honors for academic achievement, and was selected as a First Team All-Conference water polo player during his senior season. After graduation, Ryan joined the Texas Attorney General’s Office as an intern working under then Attorney General John Cornyn. At the conclusion of his internship, Ryan enrolled at Baylor Law School. In addition to Dean’s List honors and graduating near the top of his class, Ryan was recognized for his outstanding courtroom abilities through his selection into the Order of Barristers. Upon graduation from law school, Ryan accepted a position in the Dallas office of the international law firm of Hunton & Williams LLP. While at Hunton, Ryan defended some of the largest corporations in the country, focusing on product liability and toxic exposure cases. Ryan gained significant hands-on litigation experience during his first year of practice, and quickly distinguished himself as an aggressive, passionate trial lawyer with a talent for achieving outstanding results for clients. In early 2005, Ryan left his position at Hunton for a job in the Dallas office of the international law firm of Fulbright & Jaworski LLP, now known as Norton Rose Fulbright LLP. While at Fulbright, Ryan tried over two dozen cases to verdict, attaining an impressive record of wins in both jury and bench trials. Ryan also demonstrated a remarkable ability to obtain substantial settlements on behalf of his clients in a timely manner, often settling complex commercial and injury cases in a matter of months, saving his clients time and maximizing their financial gains. In the summer of 2009, Ryan left Fulbright to accept partnership at the nationally renowned trial firm of Watts Guerra LLP so he could pursue his longtime vision of representing individual and commercial plaintiffs. Ryan focuses on representing clients who have been wronged by the tortious acts of others, including cases such as catastrophic personal injury, wrongful death, product liability, pharmaceuticals, medical devices, and other mass torts. Ryan has led complex litigations in state and federal courts throughout the country in leadership capacities, including roles as lead counsel, bellwether counsel, settlement counsel, and various committee member roles, including numerous high-profile MDLs and various state court consolidations. 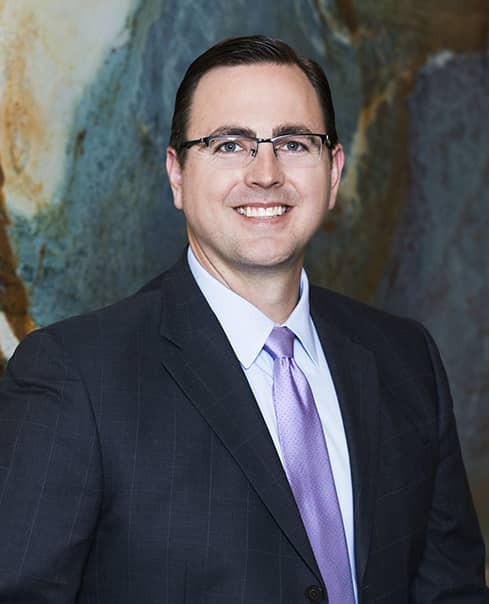 In the last 10 years, Ryan has represented over 100,000 individual clients from each of the 50 states, including his representation of clients in various litigations in the area of drug product liability and other mass actions including the following: In re: Pradaxa (Dabigatran Etexilate) Products Liability Litigation; In re: Cook County Actos Litigation; In re: Nuvaring Products Liability Litigation; In the Matter of Eclipse Aviation Depositor Claims; In re: Accutane Litigation; In re: Biomet M2A Magnum Hip Implant Products Liability Litigation; In re: Stryker Rejuvenate & ABG II Hip Implant Litigation; In re: Topamax Litigation; In re: Heparin Products Liability Litigation; In re: Levaquin Products Liability Litigation; In re: Welding Fume Products Liability Litigation; In re: Chinese Manufactured Drywall Products Liability Litigation; In Re: DePuy Orthopaedics, Inc. ASR Hip Implant Products Liability Litigation; In Re: DePuy Orthopaedics, Inc. Pinnacle Hip Implant; In Re: Fresenius Granuflo/Naturalyte Dialysate Products Liability Litigation, In Re: Xarelto (Rivaroxaban) Products Liability Litigation, and he has also represented plaintiffs in the transvaginal mesh litigations (e.g., MDL-2387, MDL-2187, MDL-2325, MDL-2326, MDL-2327, and MDL-2440). Ryan is currently national co-lead counsel in MDL No. 2452, In Re Incretin-Based Therapies Products Liability Litigation.